Formerly known as Spring Hill Country Club, Albany Golf & Event Center dates back to 1959. 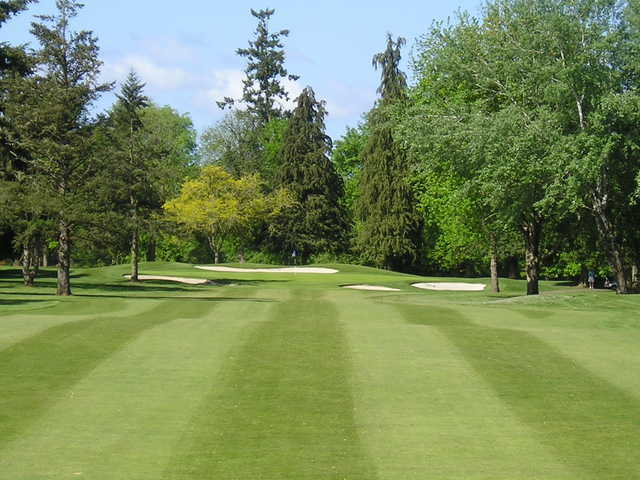 Though the name may have changed, the classic design of the course hasn't. The golf course measures to just over 6,500 yards from the back tees. 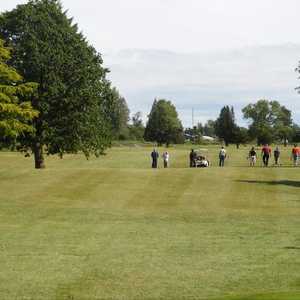 It may not be a lengthy layout but it's a fun round for beginners and advanced golfers alike, which is why it was chosen as the two-time host to the Oregon Open. 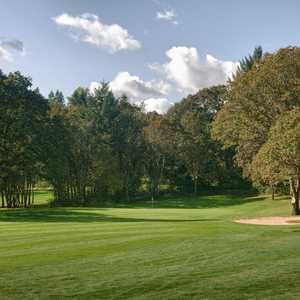 The golf course was built on some of the country's most fertile land in a temperate location that allows year-round play. Strategically placed bunkers frame the greens and there are water hazards that come into play on a few holes. One of the most difficult holes, the par-3 17th, is a water hole. There is a lake that runs along the entire right side up to the green, which is also bordered by bunkers to the left. Dress code: Men must wear shirts with collars. Mock Turtlenecks must have at least 1 ½ inch collar. Shirts or blouses with collars are preferred for ladies. Shorts must be tailored (have zippers, and pockets) and be a minimum of mid-thigh length. 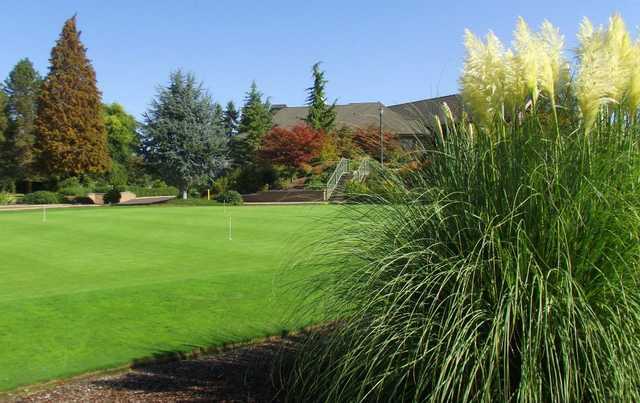 Give yourself a break and go play a round of golf at Albany golf and event center. Great course to play I tryed the work out room and the sauna and they were great as well. 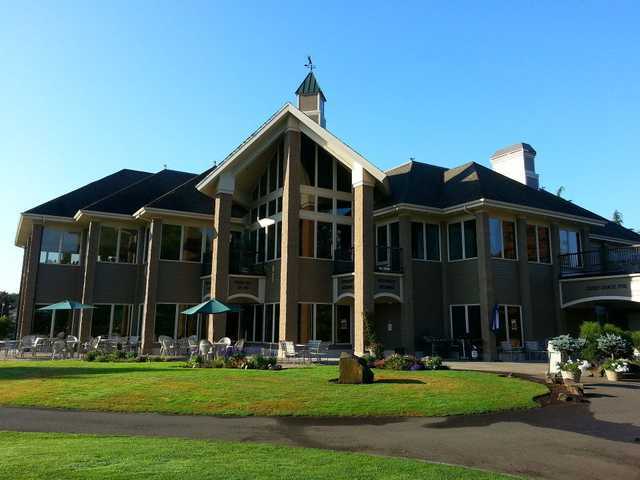 I go to Albany golf and event center to play golf a couple times a week the staff are very helpful and caring. The proshop guy was really nice and gave me some free pointer on the game and my stance and how I swing it was great. There is 18 holes there, and the game is different every time I play the grounds crew really know what they are doing. Thank you for a wonderful place to spend some time to get away. This place is great. Our family loves to swim, golf and attend events here. You are now able to have your event catered by ANYONE you want, so it's really nice to have that flexibility. 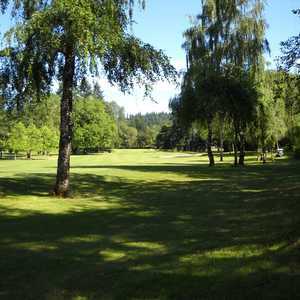 The golf course lends itself to the excellent golfer while not intimidating the beginner. We love this place and will continue to spend time here for years to come. Read the reviews, don't pay attention to the stars. 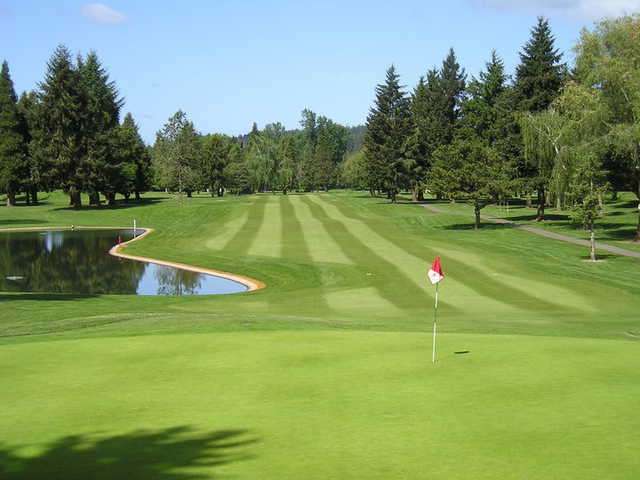 This is a beautiful course and best I have played in the lower Willamette Valley. It is a flatter course but offers a few challenging dog legs. You will not be disappointed. 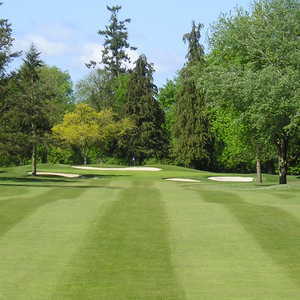 The course is well maintained and is in great shape. I have had some issues with the staff after booking on golf now but it was figured out. The facilities are beautiful. Beautiful well kept course. Fun to play. Country club setting but open to the public. Excellent food and amenities. Looking forward to another visit there soon. Great course, well maintained. Food cold and tasteless, service was disappointing. Waste of a beautiful venue. I wanted to eat upstairs but they only serve diwnstairs. The course itself is good and well maintained although it is kind of flat and there is not a lot of variety in the holes. The fees are average for this area. This course just transitioned from private to public and the members make you feel like an unwanted house guest. We got bumped so many times so that members could keep their regular tee times it took us 5-1/2 hours to play 18 holes. We also had an incident at hole 10 after taking a break that almost escalated into a fist fight. This is one of my all-time favorite courses. Not long, but still quite challenging. A lot of trees and VERY well-maintained. The greens are some of the best around. A real gem and definitely worth the trip. It has been a while since I have golfed at Spring Hill Country Club.